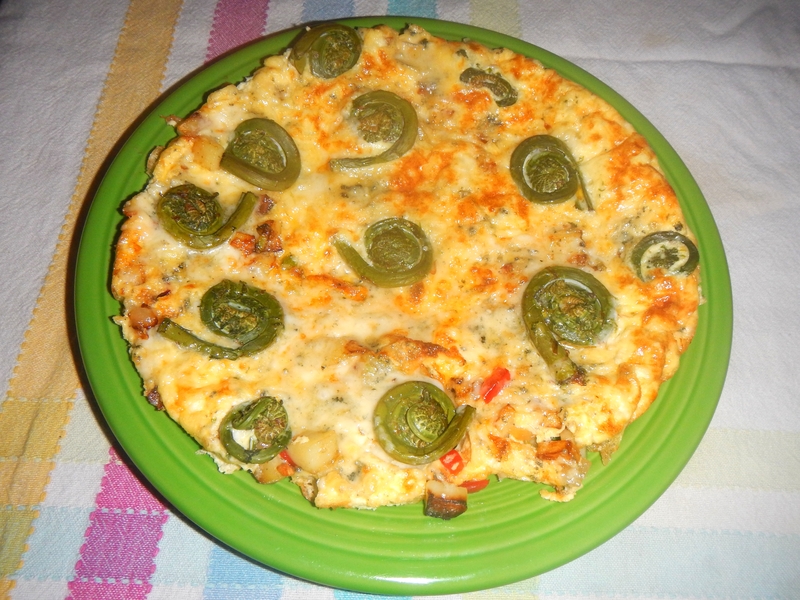 Every spring when we find fiddleheads, it seems I must make a frittata. I am pretty sure it’s the law. Shred all the different cheeses that you have in the ice box until you have about a cup. Today we used parm, cheddar, blue and mozz. So yum! I look forward to it every year and think about it while hunting for the ramps and fiddleheads. We are having a great year for them this year.